There are quite a few monthly subscription services out on the scene and they don't always hit the mark for me, however I wanted to give this one a fair shot since it tackles a specific set of the beauty market: lip care! So let's start with the basics of the service and what it offers. Anytime you sign up in a given month, you won't be billed until the 1st of the following month that you signed up. Secondly, your first Lip Monthly Bag will be sent out by the 10 of the following month that you managed to sign up for the service. After you've signed up, each month you will get 4-5 products- with the monthly subscription service price tag of $12.95 per month. 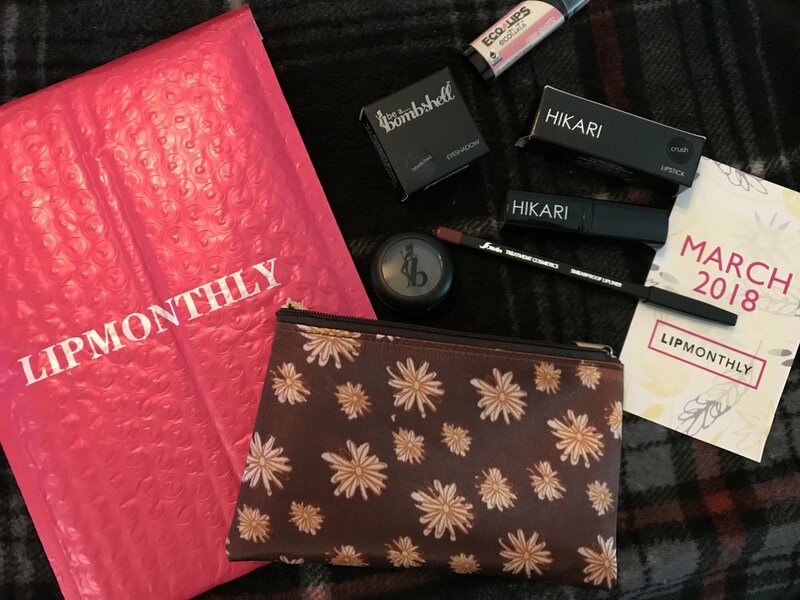 The service also features what they call the "monthly mixup" which features a non-lip beauty product that the company feels will compliment the month's featured products. You can choose to cancel anytime you like- just keep in mind if you do cancel before the 1st of the month, you won't receive the upcoming month's bag! Luckily, there are also subscription purchase options: you can choose a month-to-month sub or go for a 3-month, 6-month, or annual subscription as well. As an added bonus, LipMonthly offers up a rewards system based with points that can be earned through activities such as referrals; each friend that you end up referring earns you 50 shop points = $5 in the LipMonthly shop :) LipMonthly has set this up so that you can integrate your posts and shares on Facebook or Twitter- or you can send our customized e-mails to friends using their e-mail platform! The best part on the points rewards system they offer, is that there is no maximum amount of points you can reach and you have the option of either spending your earned points in the LipMonthly store or reducing the overall costs of your order of full-sized products at LipMonthly! 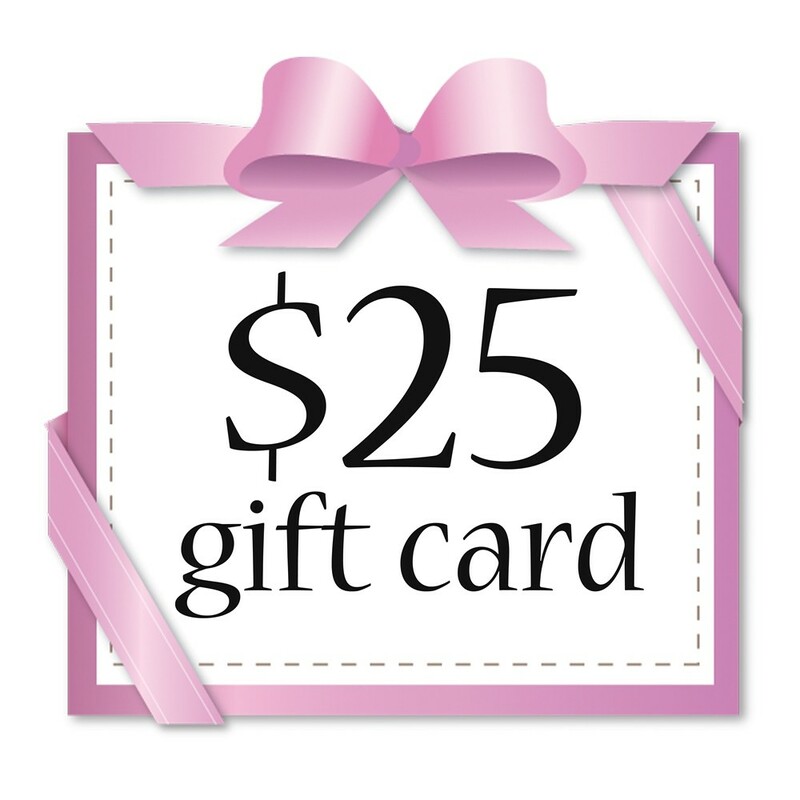 Simply use the "use my rewards points" option that will be listed in your checkout once you have reached the payment information section of your order. Orders placed on the site for products outside of your monthly subscription, take around 4-5 business days to arrive after your order has been placed and and additional 2-4 days for arrival if outside of the U.S. Speaking of international shipping, the company does offer shipping to the following countries: Canada ($3.99), Spain ($4.99), UK ($3.99), and Australia ($4.99). International subscribers in these countries will also be subject to an additional 4-8 days for arrival on their monthly lip bag subscription. As LipMonthly is fairly new to the marketplace, they don't have a phone number for support and/or customer service- so this is a slight downside that I see with the service. However, they do have a support@lipmonthly.com email address that promises a response w/in 48 hrs or less from your request. So what's the best subscription option? The annual sub offers up 3 free bags for a total of $116.55 in up-front costs, but it is the best deal. My March 2018 lip subscription bag arrived in the mail just a few days ago and I was beyond excited to see it had arrived! LipMonthly does a great job of letting you know it has indeed landed in your mailbox with the pink branded packaging, as you can see from the pic above. All of the products came inside of the bag- which is great for fitting your fav lip products and this month's featured Spring design. 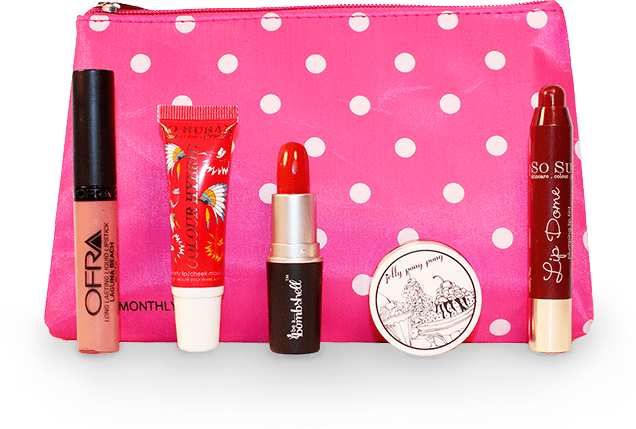 There were 4 full-sized products in this month's bag, including: a Hikari Lipstick in Crush, be a...bombshell Eye shadow in Bewitched, an Eco Lips ecotints in Rose Quartz, and a Sorme Treatment Cosmetics Smear-proof Lip Liner in Brique #8. The lipstick was actually one of my top picks- although the color is a bright punchy pink, which is generally not the type of shade I go for, it has excellent pigmentation and decent lasting power. I wouldn't wear this shade regularly, however it would be a fun shade to wear with the right Spring outfit! My 2nd fav item out of this month's bag, was the Eco Lips EcoTint in Rose Quartz- although only lightly tinted in a pretty shimmery rose shade, it makes my lips super smooth and soft...and as an added bonus- it happens to have a light & fresh minty flavor and is made with 30% Fair Trade Certified ingredients = a win-win! As for the eye shadow- I wasn't a big fan of the shade as it is more of a matte finish and came in an earthy-greenish tone that I'm not particularly a big fan of in general due to my skin tone. I will say though that paired with the right grey, brown, or black shade it could be perfect for creating a sultry, smokey eye look. Overall, I was fairly happy with my bag that I received for March- although I would have most likely only purchased 2 of these products on my own/if I had just seen them online or in a store, for example. The eye shadow would probably not be a product I would have found myself purchasing independently and although the makeup bag is cute, I also admit to having quite a few of these- making it something that I also probably wouldn't have purchased had it not arrived in my monthly lip bag. I do however love that it's a tiny enough size to fit lip products and pencils, making it a portable makeup bag when on-the-go. The Eco Lips product was definitely the best product of the bag and would be something that although I might not have purchased on my own- I was glad I stumbled across it in my monthly lip bag as it will be something I'll be on the lookout for in the future when I'm on the hunt for another tinted chapstick or lip balm. be a...bombshell cosmetics Eyeshadow in Bewitched: $2 value. Hikari Lipstick in Crush: $11.50 value. Eco Lips EcoTints in Rose Quartz: $12.99 value. Sorme Treatment Cosmetics Lip Liner in Brisque: $13 value.